DELMAR - The Delmar Volunteer Fire Department is accepting donations of food, water, wipes, soap and other similar items for the victims of Hamilton, Miss. The small town had much devastation Saturday night from a tornado which ripped through the area, destroying the only fire department in the community and which five fatalities occurred. In addition to helping with the victims, the Delmar VFD is helping the Hamilton Fire Department through donations as well. 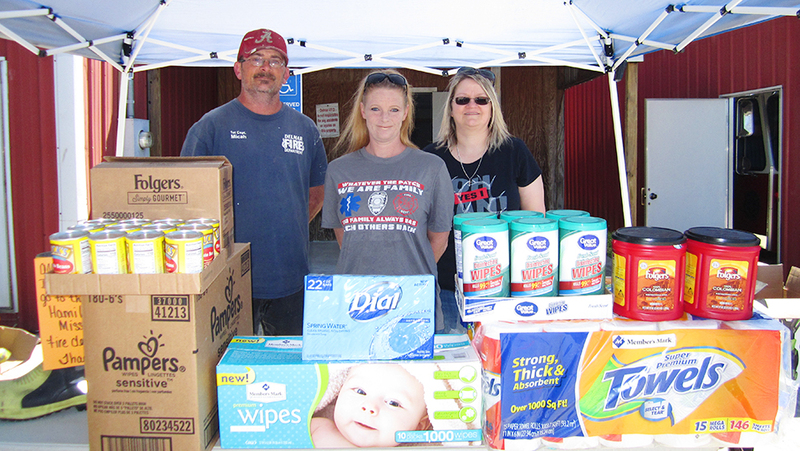 Donations were taken to the Delmar VFD Monday, April 15. One load will be was taken that day to the town, and if there are additional needs, the deadline will be extended.